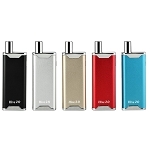 The Atmos Forge Kit comes with everything you need to start efficiently vaporizing waxy essential oils discreetly on the go. 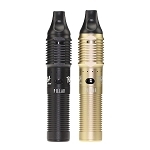 The Forge pen vaporizer utilizes dual coil titanium atomizers with either ceramic heating rods or glass quartz heating elements that vaporize concentrates with the utmost effectiveness, providing heavy amounts of vapor that has the flavor quality to match. 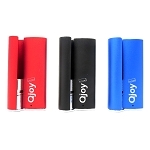 This vaporizer is powered by a 510-threaded lithium polymer battery that has a has an expanded capacity, compared to the original, and it can be conveniently charged using the included micro-usb charging cable. This newer edition of the Forge vaporizer also comes equipped with a large heating chamber to make filling a cleaner, mess-free process and improved airflow allow for smoother pulls and an enhanced quality of flavor, leaving you with a vapor that is certainly hard to match.